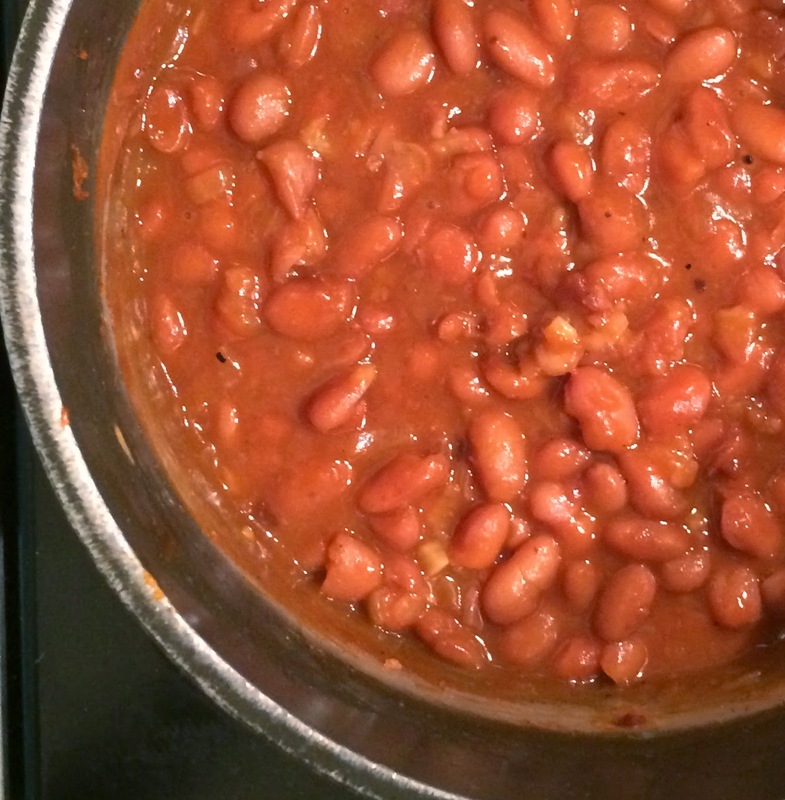 We don’t always have five hours to make traditional Baked Beans but this thirty minute stove top version is perfect for the arrival of both sugaring and BBQ season in Vermont. In a small pot sauté a finely chopped shallot and two cloves garlic until translucent before stirring in a quarter teaspoon of chili pepper flakes (chipotle pepper flakes if you have them). Drain and add two 15 oz. cans of pinto beans and a quarter cup of both ketchup and maple syrup. Then it’s just a matter of simmering over low heat until it reduces to your preferred consistency, salt and pepper to taste before serving. For an even richer flavor start with two strips of smoked bacon cut into half inch pieces, fry until nearly crispy, then add your shallot and garlic. Either way you’ll wonder why you don’t make them more often...these aren’t your typical canned beans.